Consys offers specialized dental computer and networks. 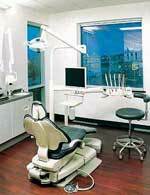 We provide on-site dental computing service and support in Arizona. Practice management software including Dentrix, Eaglesoft, Practice Works, and more. Wall mounted and pole mounted LCD monitors. Wired and wireless computer and telephone networking for your dental practice. Servers optimized for your dental software and office. Computers specialized for Dental Assistant Vail Valley operatories, reception and consultation. Dental Assistant Detroit uses Integrated automatic backup drives to increase reliability while reducing your worry and workload. Consys has expertise with most practice management software, digital x-ray software, and other Dental Assistant San Diego support software. Software training, support and maintenance. We provide reliable and trustworthy service. For 20 years our Gazebo shade customers have counted on our no-nonsense approach to computing service.